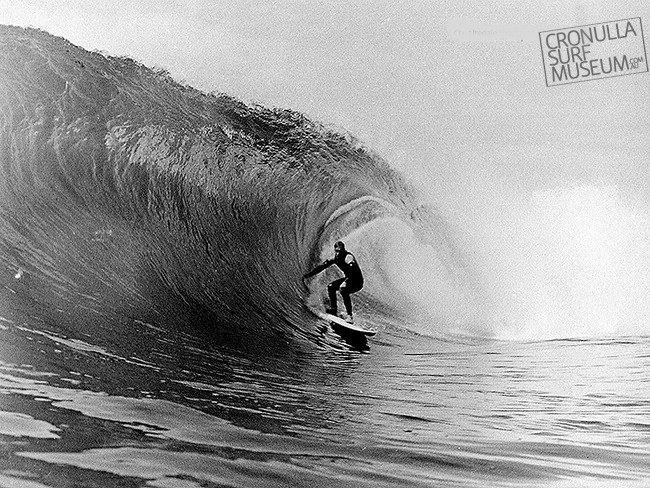 Wanda lifeguard Chris Iredale earned a name for himself in the 80’s and 90’s for charging Shark Island on the biggest days. Chris approach saw him take the drop and line up the barrels with the cleanest lines and then pray. Photo Chris Stroh.